Today is “PI” day March 14….3.14 for “PI” at my kids school so we were asked to make a pie. 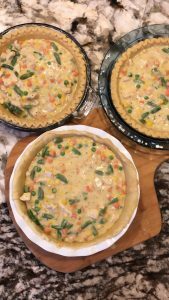 My son LOVES chicken pot pie so that is what I made. In this post I will post just the filling. 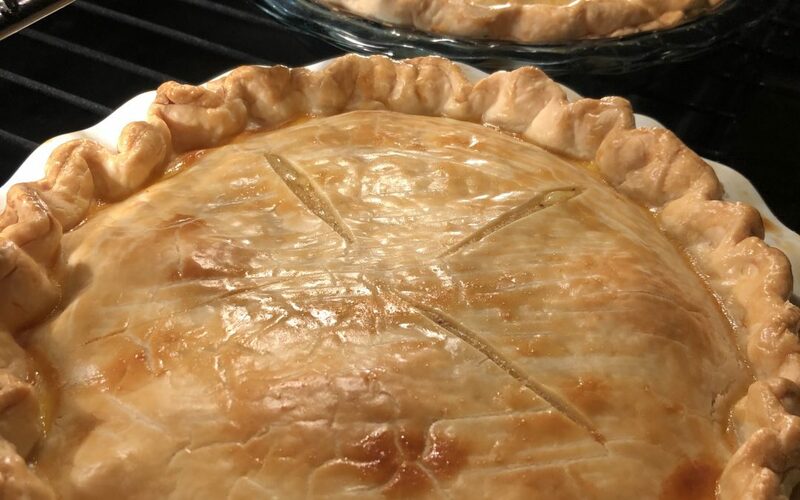 I will post the pie crust that I made from scratch later on in the week. 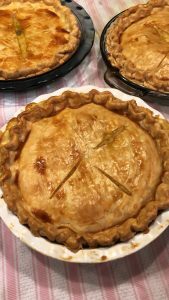 I have used the store brought pie crust before and it was just as delicious. I had use this BRAND. Heat oven to 375°. 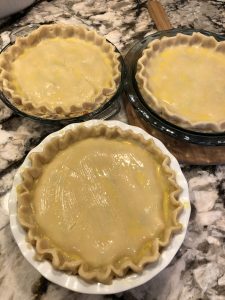 Prepare pie crusts as directed on box for TWO …..PIE CRUST using two 9-inch glass pie pan. In medium pan melt butter over medium heat. 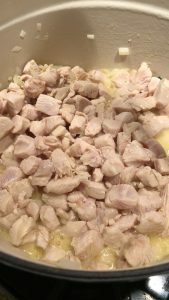 Stir in the cubes chicken and cook until chicken is cooked. Cook for about 6 minutes. Next, add chopped onion; cook 2 minutes, stirring frequently, until tender. Stir in flour, then ADD IN all the seasoning until well blended. 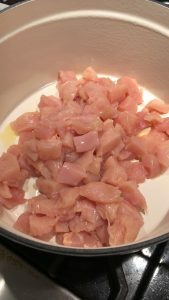 Gradually stir in milk and FAMILY SIZE can of cream of chicken soup cooking and stirring until bubbly and thickened. 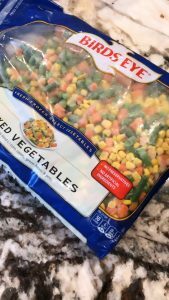 Stir in the 4 cup of FROZEN mixed vegetables. Cook for about 7-10 minutes o medium to low heat. Remove from heat. 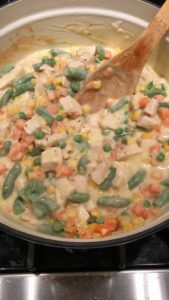 Spoon chicken and vegetable mixture into PREPARED crust-lined pan. Top with second crust; seal edge and flute. Cut slits in several places in top crust. 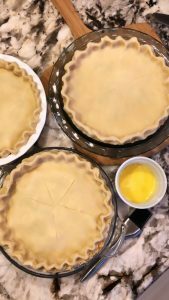 Using 1 egg and 1 teaspoon water…make the egg wash mixture and brush the eggwash mixture over the TOP CRUST of the pie. This will help the crust be shiny and gives it that GOLDEN BROWN in color. Bake 30 to 40 minutes or until crust is golden brown. During last 15 to 20 minutes of baking, cover crust edge with strips of foil to prevent excessive browning. Let stand 5 minutes before serving. SIDE NOTE:This post is for the store brought pie crust. I will make a separate post on just my homemade pie crust..so stay tune for that.